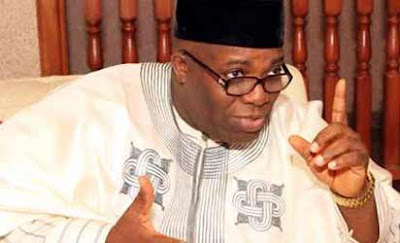 A former Senior Special Assistant to ex-President Goodluck Jonathan on Public Affairs, Dr. Doyin Okupe, has attacked President Muhammadu Buhari’s media handlers for the controversy over the President’s Sallah message, which was broadcast only in Hausa language. Okupe said this in a write-up titled, ‘My take on PMB’s Hausa broadcast’ which was posted on his official Facebook page on Tuesday. A section of the media had reported that the President is suffering from speech impairment and memory loss. The audio was intended to counter the narrative. Okupe, however, rejected the excuse that the broadcast was part of an interview Buhari had in Hausa with the radio station. He said, “I have pondered a while on the supposed message to Nigerians in Hausa language by President Buhari. I believe the voice is the voice of PMB and not any phoney laboratory creation. “The media handlers in desperation to dispel unwarranted rumours of the President’s ‘death’ or extreme incapacitation, arranged for a correspondent of BBC Hausa service to record a message for their station to be related to their listeners. He advised them to learn from the mistake in order not to repeat it. Okupe added, “The other possibility which I consider to be more probable is that someone, maybe Garba Shehu, requested a message from PMB and because he was talking with an aide who is a northerner, he spoke to him in Hausa expecting that this will naturally be translated to English and issued out officially from the Presidency. “Thereafter, before the official process could be concluded someone had forwarded an advance copy to BBC Hausa service, and journalists being who they are with insatiable desire for scoops and breaking news, released it instant for maximum effects.